Your feature ‘At-risk buildings city has a year to save’, (Star, January 2), is welcome as a statement of City Council concern about these invaluable structures. 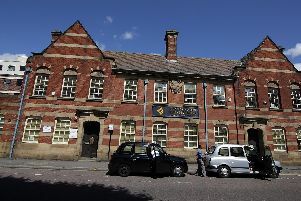 There is certainly scope to convert the buildings mentioned into housing, though the council and developers will be well aware of the costs that can be involved in restoring a listed building, and of the problems of trading off on the one hand repair and re-use and on the other, sensitive restoration of exactly those features which may make a heritage building worth keeping. But we are concerned to avoid any false impression about the position of the Old Town Hall, which is now in as bad a state as any of the 20 buildings in the council’s new list, and probably worse. It is technically correct to say that the council is ‘working with the Friends group’. But progress is extremely slow and meanwhile the damage from the weather mounts up. 18 months after the council announced it had found the funds to make the OTH weatherproof, no weatherproofing work has been done. That’s two more winters of water damage, at a minimum, to a building already in a shockingly neglected state; and that has a knock-on effect on the already massive bill for full restoration. We understand some of the problems encountered in delivering on the council’s intention to use their reserve legal powers to protect a listed building, but they need to bite the bullet. We don’t overlook the fact that the private company owners of the building are the people who have let the damage mount up since they bought the place in 2004, and who will be liable in the end for the costs. Rumour has it that they are preparing a planning application, but there’s no sign of it months after the rumour emerged. We can only assume they will just go on standing by as the damage increases. Meanwhile, the position is becoming critical. The Friends are concerned at the increasing risk that the building will be ruled too damaged to save, or will simply collapse; a development which could cost the council a great deal of money given the public safety implications. It’s time for the council to consider seriously what it wants for the future of the Old Town Hall, and get its skates on if it really wants to save it. We’re ready to help and our aim is to return this building to the community. But once it’s gone, it’s gone.